While we’ve used primarily hotel examples in this article, these strategies are applicable to hospitality, travel and lifestyle industries. You can use these Instagram marketing tips right now to directly increase your followers, engagement rates and potential conversions and click-throughs. Most travel bookings are made by women, 67% in fact. 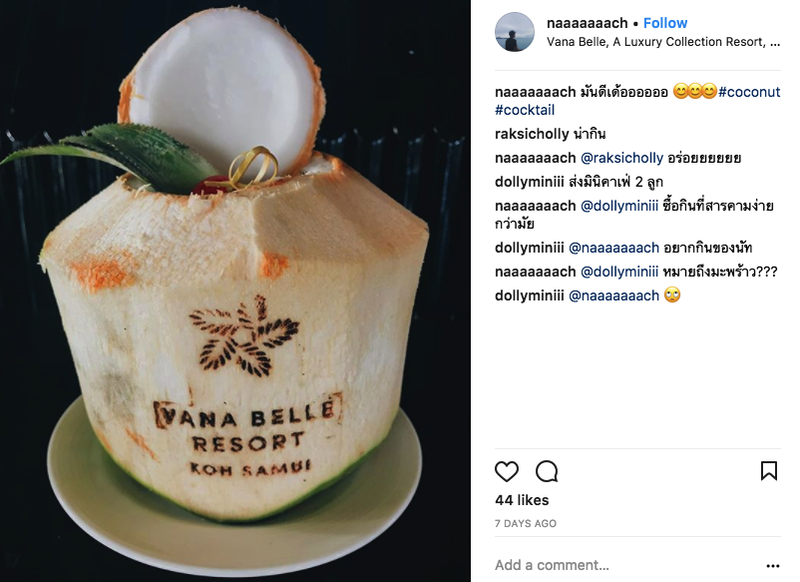 With the decision making heavily skewed towards women, we need to consider where these women are and the type of travel and hotel branding they’re consuming. Not only is it a great way to get your users engaged with your brand by showing them a little love with a re-post. 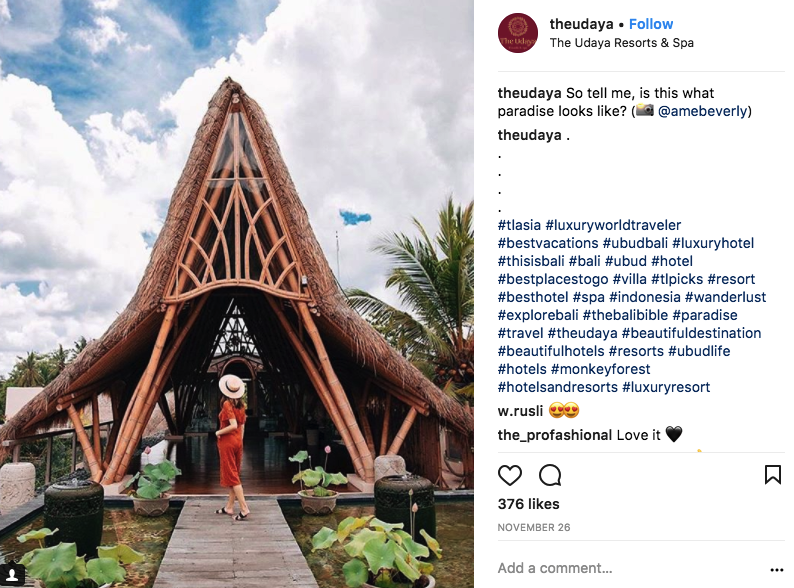 You’re also doing double duty by encouraging visitors and guests to get creative and snap away for the chance of their Instagram being featured on your page. You can find the content that your user base is sharing under your tagged images or geolocations. It’s a smart way to increase the content available to you by curating the best that’s out there. 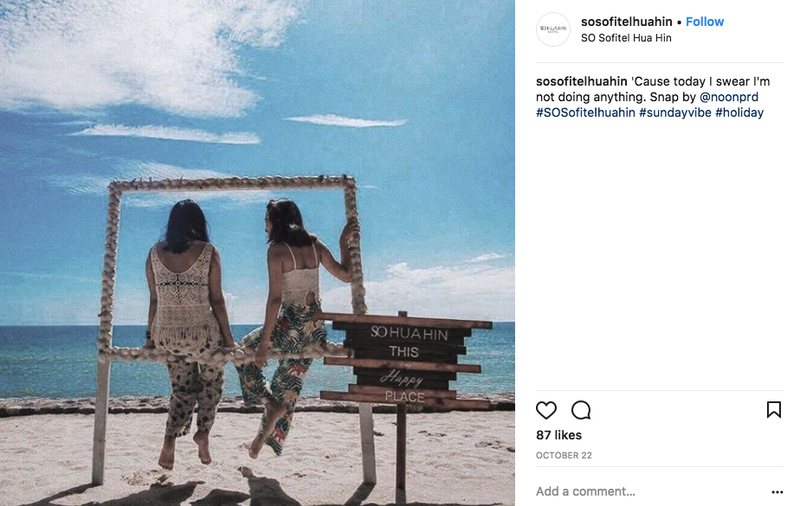 And with user-generated content having a 4.5% higher conversion rate source, it’s a good idea to incorporate it into your Instagram promotion strategy. Instagram is a visual medium. Much like YouTube, the low-quality 10 minute video you throw together isn’t going to cut it with the people that are using high-quality photography and videography gear. To play at the top, you need to make sure you stand out. 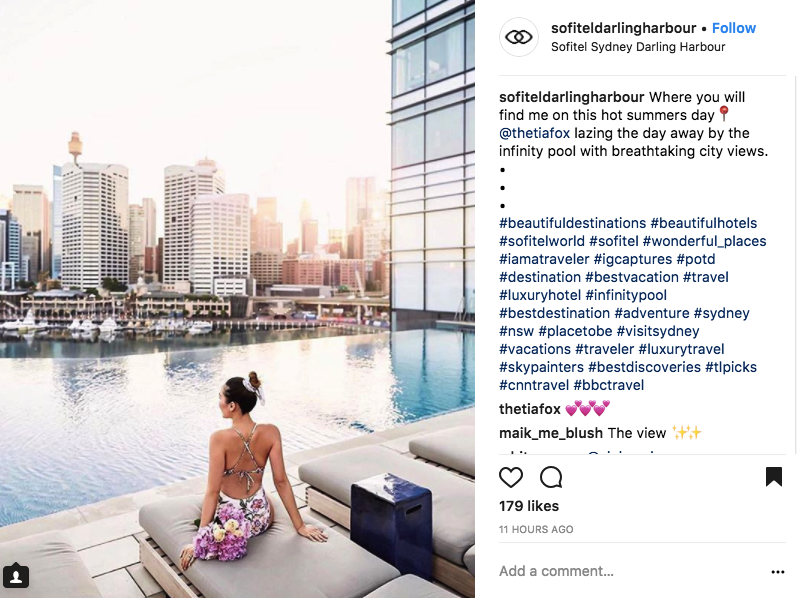 Invest in having a high quality camera as part of your hotel’s marketing arsenal to capture those eye-turning shots and turn your Instagram into a marketing tool. Don’t just use a seperate camera, use all the arsenal you have – which should include some editing programs. If you don’t have a designer with photoshop at your disposal, make sure your marketing team touches up your Instagram photos to make them look their best. Two excellent options to get started with tweaking your photos to look their best. Humans have shorter attention spans that a goldfish. We’re going to scroll past in less than a few seconds if there isn’t something to hold our eye. 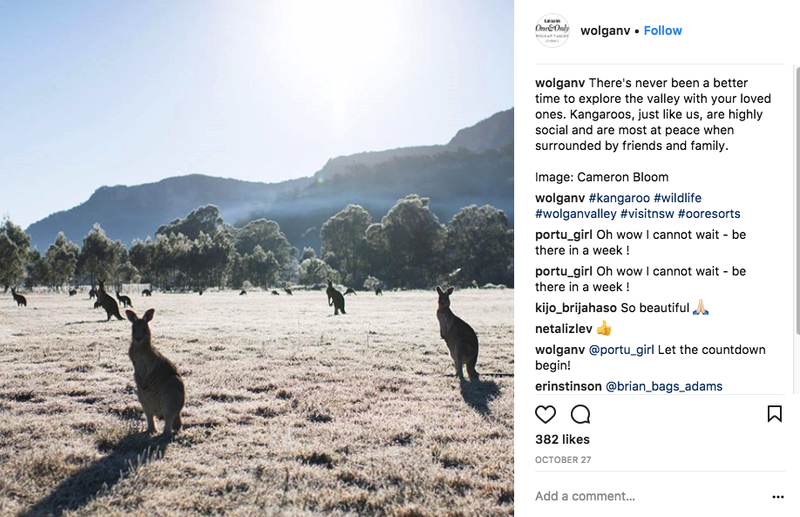 With digital medium’s throwing so much information at you at all times of the day, you need to capture your audience as quickly as possible and get savvy with your Instagram how-to. One way to do that is with an Instagram Theme. Themes create visual consistency. It immediately tells the user what they’ve showed up to and what they can expect in one quick look. Using the same filters for a visual palate. By photo-type or photo style. A food blogger might only post photos of clean neutral plates from a top angle. A travel page might only post very high quality sunsets. 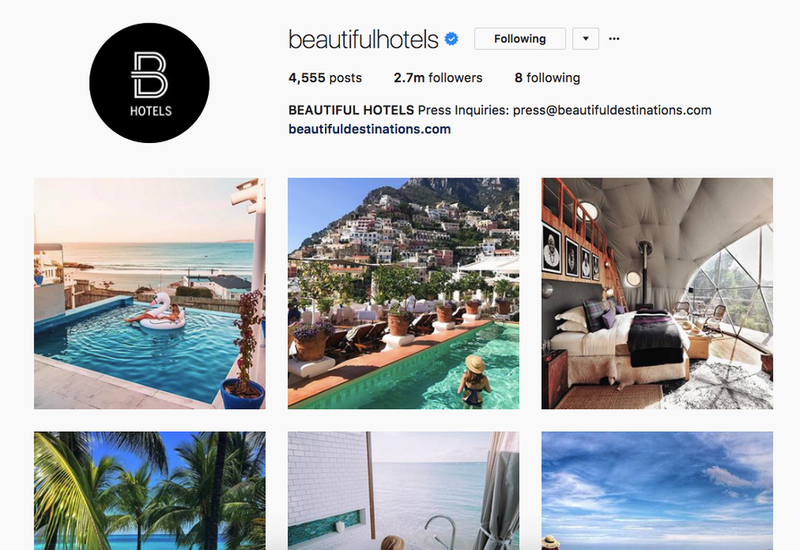 A great example of an Instagram theme that’s smashing it is the @beautifulhotels Instagram page. Why are the Kardashians a multi-million dollar empire? People love fantasy and the unattainable. It’s why reality tv, as trashy as it might be, does so well. It’s an escape. Apply that to your Instagram strategy with experience focused images that incite strong feelings and emotions. Strengthen the image with great copy that reinforces feelings and notions of aspirational experiences. We can see here with @ITCHotels, they showcase a private morning tea session as part of the presidential suite at the hotel. 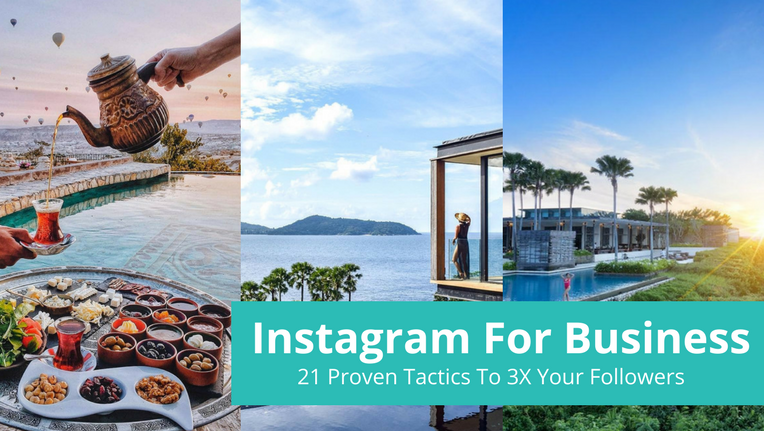 It’s the smart way to use Instagram for business at a high level. Nobody likes the feeling of being sold to. Keep your promotional posts at a rough minimum to an average of 4:1. You might be tempted to blast out lots of posts about your room or buffet specials, but you’ll find you won’t gain long-term audience engagement that way. Move away from a sell-sell attitude and mix in posts that the user can connect to and/or are relatable. This could be showcasing an experience, a feeling or a moment, where there is no direct mention, image or link to a promotional action. Your key objective should not be an immediate sale. We can see in this post by Alila Seminyak, they’re evoking the feeling of a relaxing session by the pool. Tying your brand to feelings of relaxation and pampering, so the next time your audience are looking for an escape, your hotel might be top of mind. 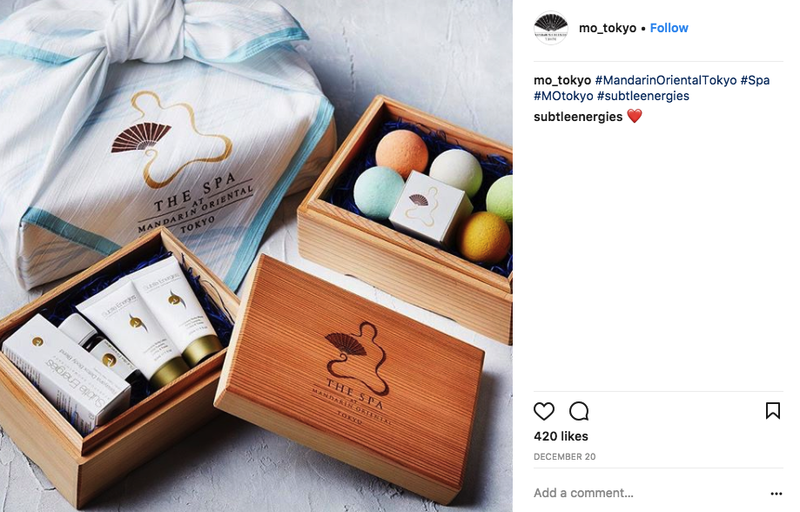 If you do sell, make sure it’s aligned with your brand, tone and audience, like this promotional style post from Mandarin Oriental Tokyo in clean colours and luxurious finishes. With a unique branded hashtag, it may require some thinking. 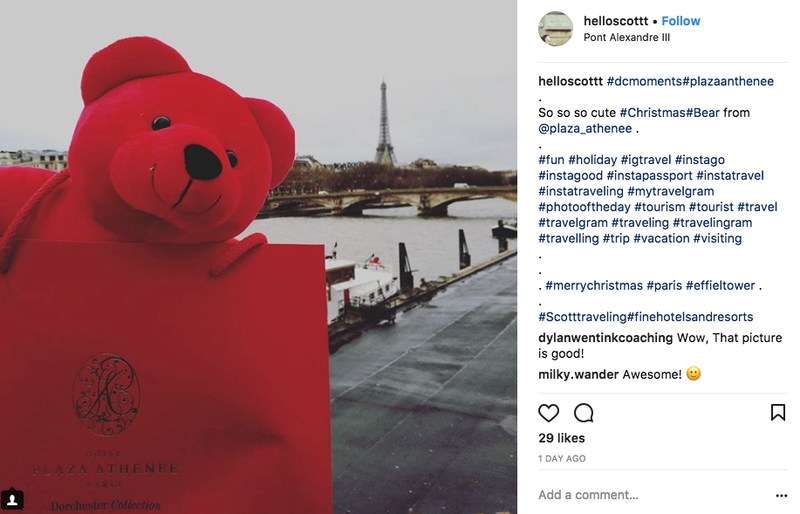 Many one or two word hashtags that may be suitable like #wanderlust are already used on a mass scale and associated with various feelings, brands and identities. 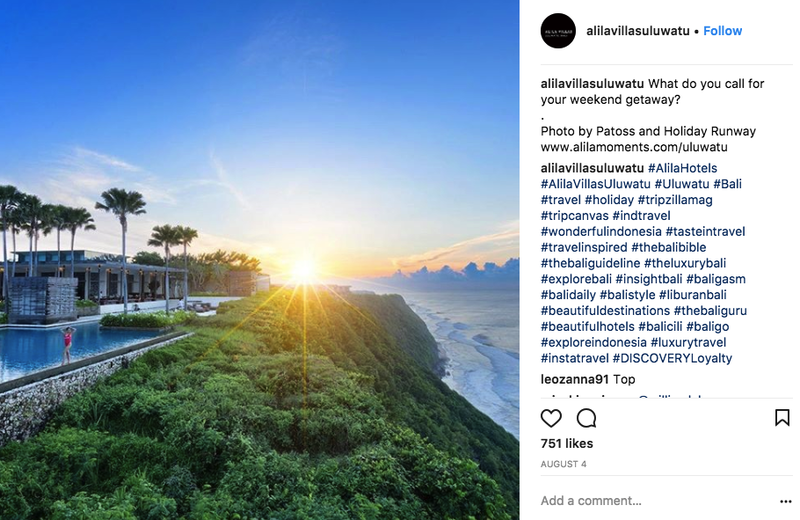 Within the travel industry, bloggers created the #LifeWellTravelled hashtag to showcase new destinations. 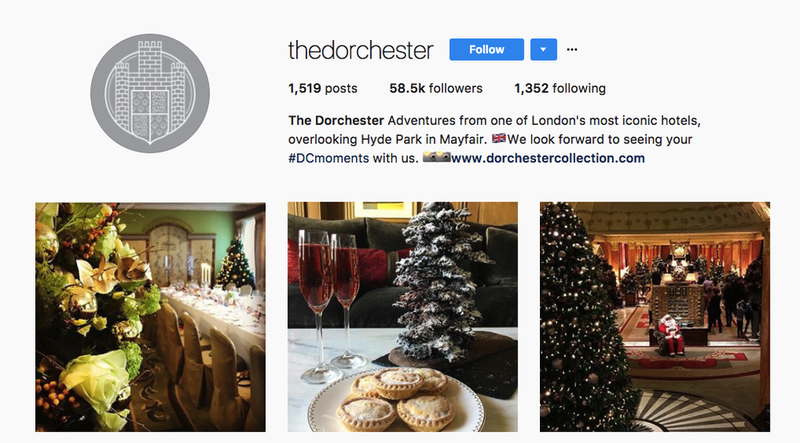 We can see The Dorchester applies this strategy with their #DCMoments hashtag, which is then picked up by their guests. Everyone expects a shot of the hotel room, the products or the view. It’s not necessarily going to stop the scroll or grab their attention. Instead incorporate angles and perspectives in your feed and Instagram for business strategy. Create a feeling through photos of what your guest can expect to experience when they visit your hotel. It might be by filling out the scene. 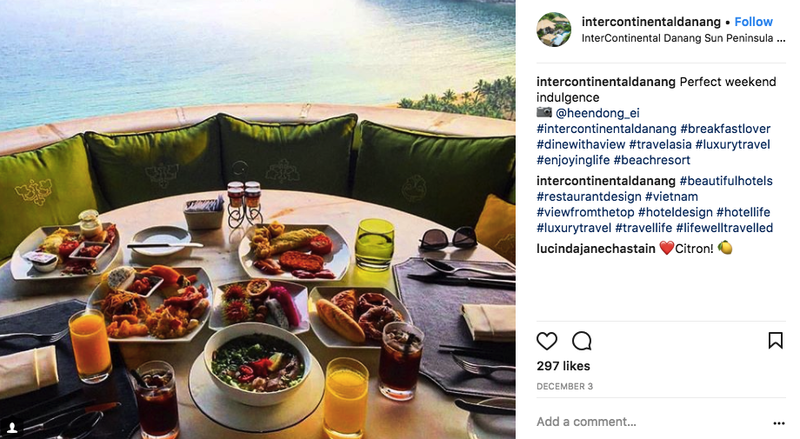 See at Intercontinental Danang where instead of just showcasing the hotel restaurant, we see a table full of food that invites you to “step into the picture”. 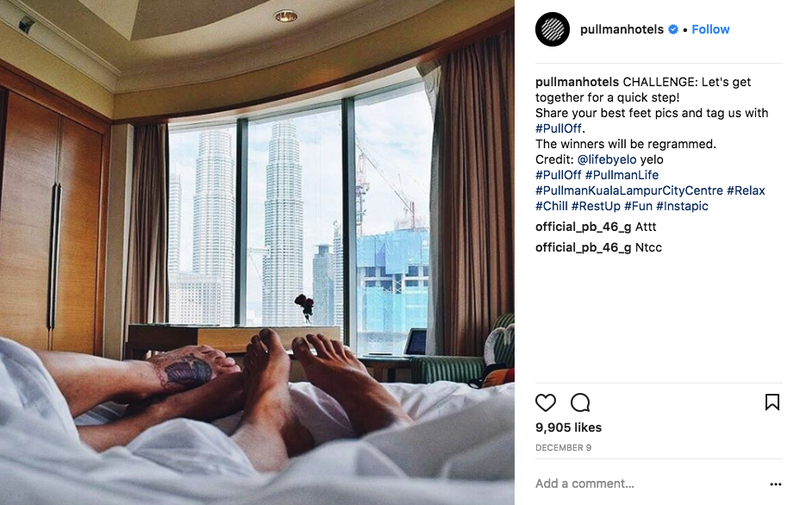 With Pullman, they recreate a lazy morning lie-in with a loved one and a view, from the perspective of the guests. Influencers have attracted a strong following in their niches, that could be luxury travel, fashion or fitness. Partnering with an influencer is a way of exposing your brand to your potential target audience who are out of your brand circle. 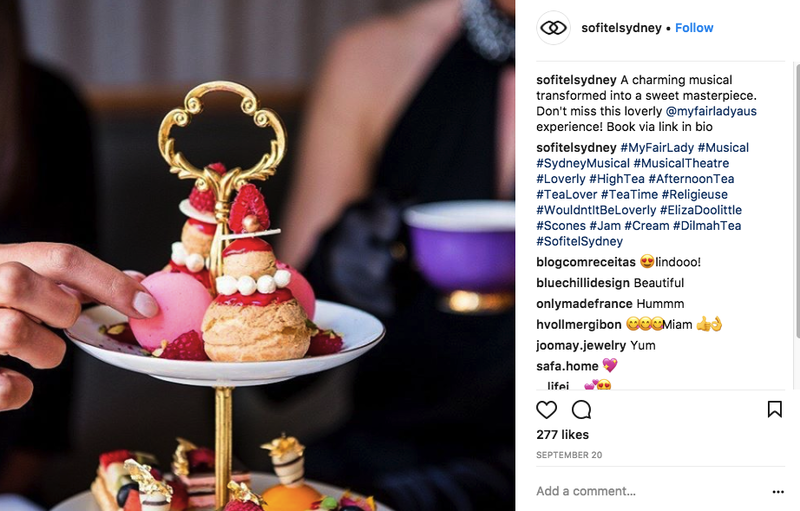 Because influencers know their audience well, they can put together creatives like photo and video they know their audience will want to consume. You can also approach this by collaborating with other social media brands and cross promoting. We can see Sofitel Sydney had partnered up with a local Sydney theatre to offer an experience for their audience. Optimise your posts by including hashtags that are audience browse and use to discover new content. Use your hashtags strategically. 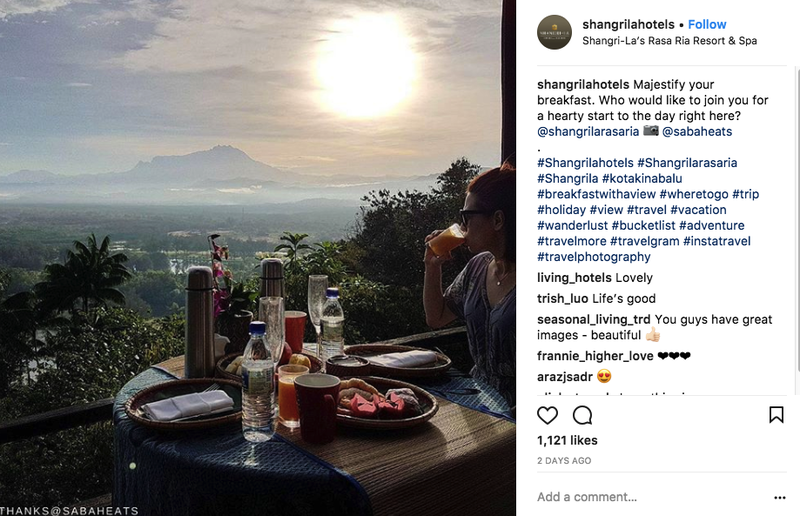 While you might be tempted to use very popular tags like #travel, you want to mix in relevancy and smaller, less saturated hashtags. You can see The Udaya in Bali has included Bali-specific hashtags like #explorebali and #thebalibible as well as descriptive tags like #monkeyforest. We saw Boomerang take off in 2017. Instagram live sessions, q&a’s and event promotions are now commonplace. Utilising the newest features will make sure your content stays attractive, which can help your overall engagement, increasing your posts reach. Instagram is filled with pretty pictures. 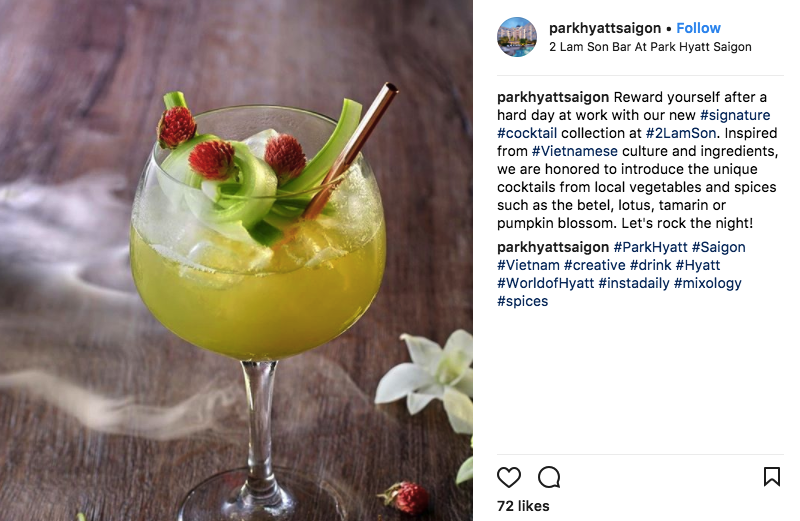 Nobody’s coming to instagram as the first place they look for a 2000 Baht a night hotel next to the Ekkamai BTS. Instead focus on the non-tangible selling points vs the tangible ones, or find a way to show the benefits and value of your tangible selling points. You might have the best late checkout in town at 4pm instead of the usual 1pm. You could highlight being able to enjoy afternoon tea in your room because you don’t need to rush the next day. 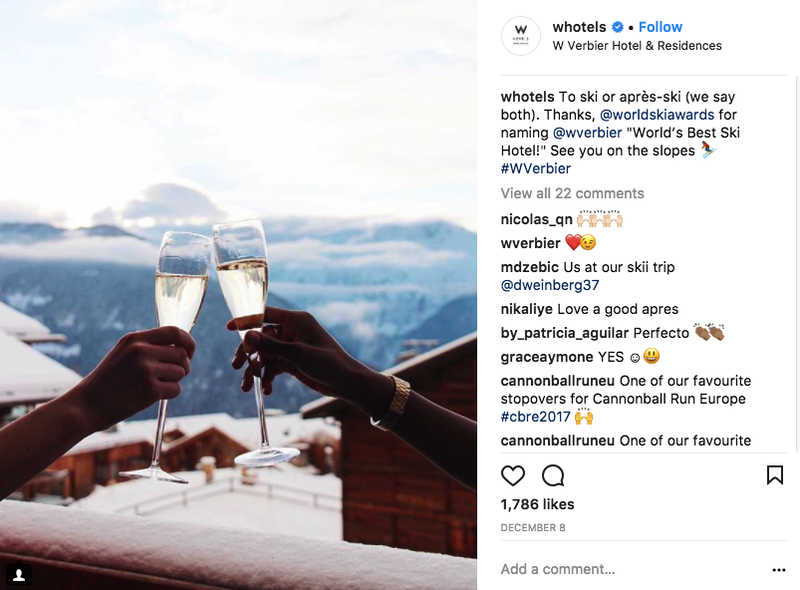 W Hotels highlights not just their Ski resort, but shows the emotional aspect of enjoying the beautiful view with a friend. No longer is the humble “like this post” enough. With user engagement driving Instagram’s algorithm and your brands reach, you need to see clicks as currency. Optimise your profile bio with great copy and make sure your key elements are there. Branded Hashtag: are their branded hashtags you’re using which should be included? Call-To-Action: are you driving your users to your website, a campaign or a latest piece of content. Bio Content: Does your bio capture exactly what your brand is and highlight your unique selling points? Add to your brand’s character by showing the strategy, care and thought that goes into creating the final product. If you ran a fashion brand, you might show the manufacturing process. With a hotel you might highlight the local florist that creates the floral bouquets every week in the lobby. 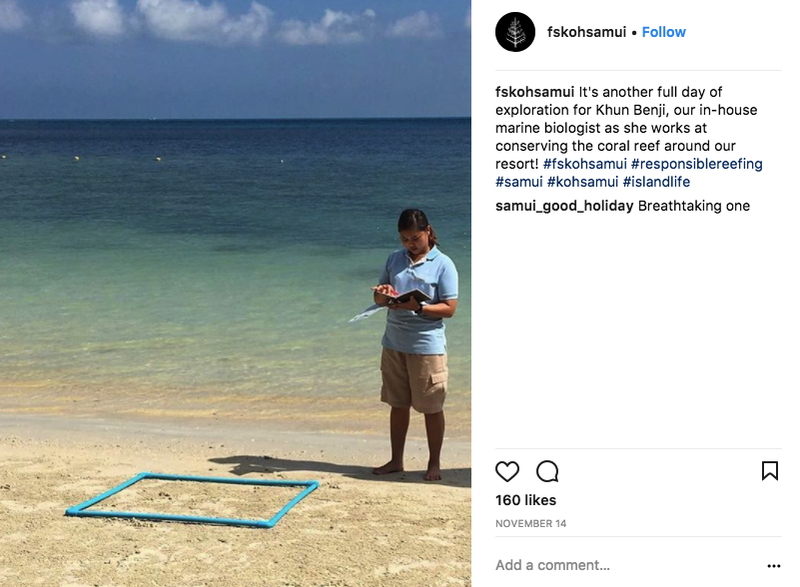 With Four Seasons Koh Samui, they’ve highlighted a part of the hotel that wouldn’t typically be noticed or easily found in the usual promotional materials. It doesn’t all need to be picturesque staged shots. 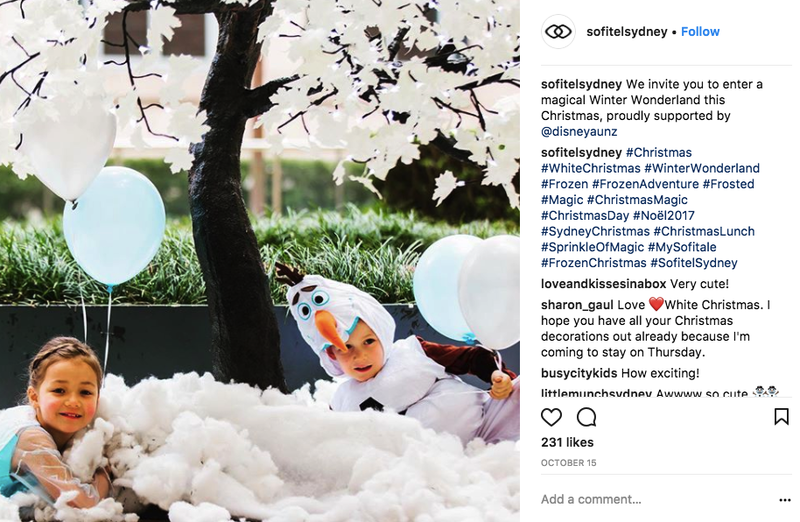 Create a tone and persona for your brand through Instagram by aligning your humour with your audience, seasonal happenings and trending moments. From holidays to industry relevant topics like #NationalDonutDay, keeping on top of trending hashtags can help improve your reach when you’ll have a heavier volume than normal of people browsing a specific tag. If you run a social media account, it’s a good idea to align your posting calendar with key dates throughout the year. Don’t just stick to promoting your hotel. After all your guests are unlikely to be visiting the city simply to stay at your hotel. Show off local attractions near the hotel and events that are happening. 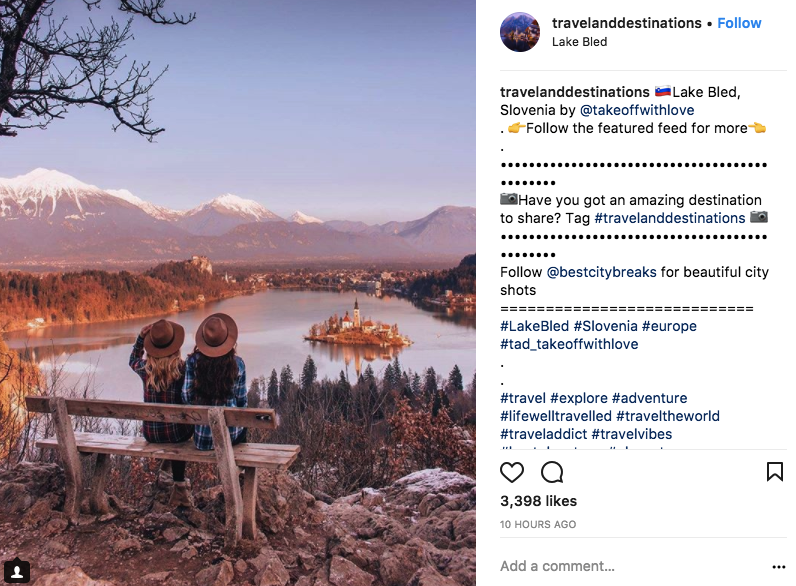 With many users using Instagram as a travel guide, curating travel attractions are a way to also attract them to your page. An example below of the One & Only resort at Wolgan Valley in Australia in the blue mountains. They show off one of the most popular attractions to do in Australia: see the kangaroos. Create a great user experience by including a geo-tag on your posts. In fact posts with a geo-tag can get up to 79% more engagement than a post without source. All helping that beautiful brand reach and growth. Are there special touches that make your hotel uniquely you? Maybe you offer morning yoga sessions on the rooftop, Ferrari pickup from the airport or you have access to extra experiences at tourist spots. Show them off! It’s one thing reading about it, showing it off can encourage users who are looking for unique experiences. 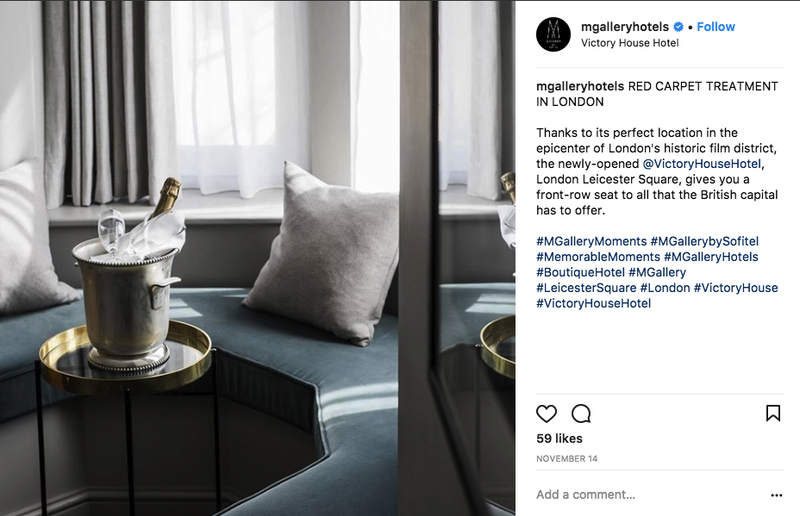 At the M Gallery in London, you get a unique view of London’s Leicester square which you can enjoy with champagne in your room with a loved one. Do you have long standing staff members or staff that play a special role at the hotel? They can be a reason to come to the hotel and keep returning. 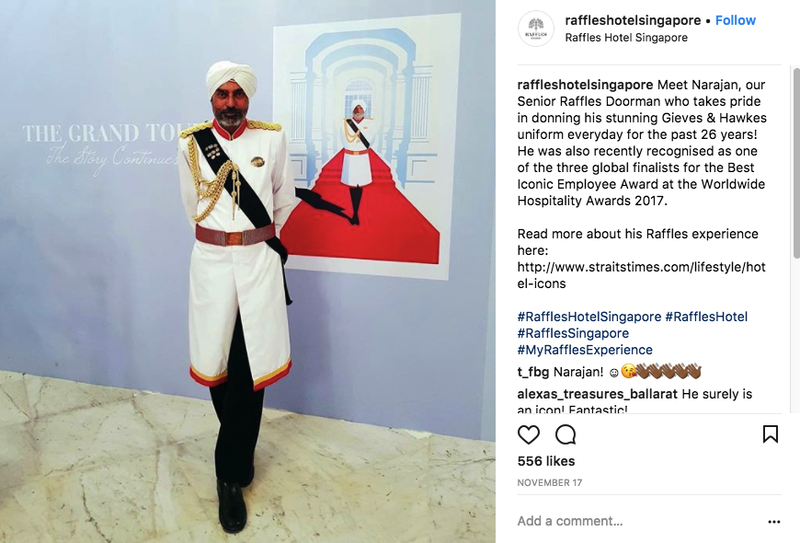 If guests have commented previously on an exceptional experience because of a staff member or something a staff member has done – use that in your hotel arsenal. Instagram is pretty, no doubt it. The quickest way to up your Instagram game? Make it easy to want to show off your hotel. Unique pop-up displays at the hotel or at your hotel events. Can you work with a champagne brand to get a branded champagne vending machine? Brand your products. Maybe you have balconies with all your rooms, can you add something unique with your hotel name that will encourage people to include it in their selfies and holiday photos? From branded coconuts to beach towels or beach pop-ups. If you don’t have the luxury of mind blowing architecture, see what can be created that will make users want to include it in their photo or even better inspire a photo session. So there you have it, the foundations to build a strong growth-focused Instagram strategy. These are proven content creation methods that are working across the travel, hotel and hospitality sectors. Mix some of these strategies into your Instagram schedule and watch your follower and engagement rates rise.